Make 2019 Your Best Real Estate Year Yet! Many Real Estate Agents across the country wish they could better convert their Buyer and Seller Leads! They seem to struggle getting them on the phone, getting a meeting scheduled, making the meetings stick, and getting them signed up and on the right track after the meeting. Another big struggle for realtors is managing their time once they get busy. Anthony teaches his Buyer & Seller Conversion courses nationally as well as a course about Time Management and he is going to share with you the main takeaways of these highly- sought after courses. Learn conversion techniques and time management tips. There are only 40 seats and they will fill up fast so Register Now! FAQ – Ask your questions and Anthony will answer, no holding back! "We have a different guest speakers every month and is the best we have ever had. They really loved him and thought his talk was helpful!!!" Anthony is the Broker/Owner and CEO of Lamacchia Realty and REAL Training and Systems Inc. Currently, Anthony spends his time running the companies, training agents, and strategically planning for the future. 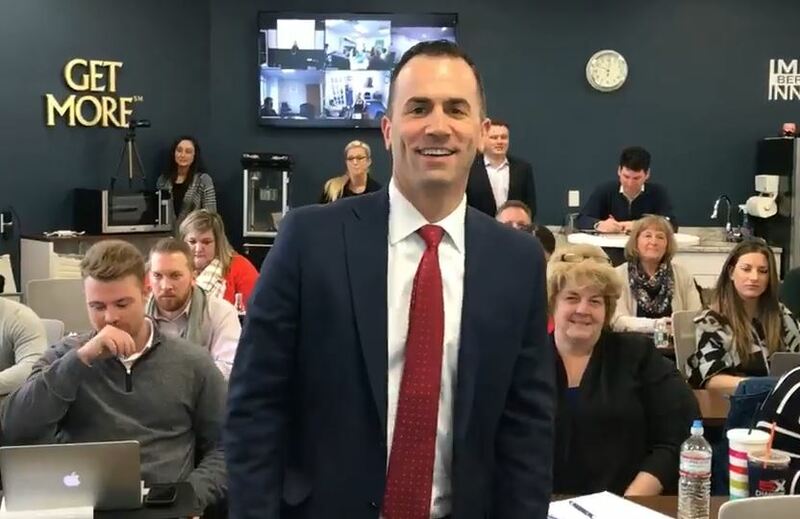 He is completely obsessed and passionate about providing agents with the absolute very best training to excel in their careers and grow their businesses.